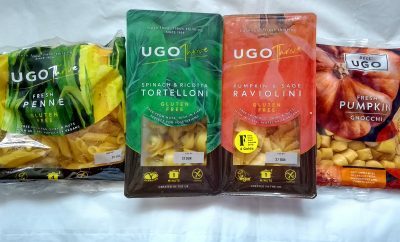 Images courtesy of Waitrose Cellar. 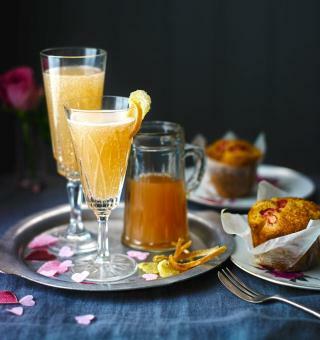 Celebrate the warmer weather with these happy Prosecco-based cocktails. 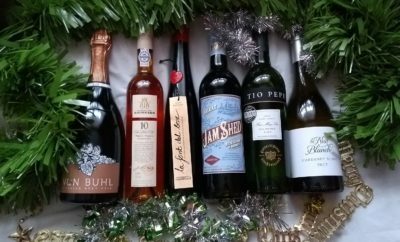 Courtesy of Waitrose Cellar we are showcasing sweet, sour and spicy flavours, but find more styles here. Vodka Cranberry Cocktail by Marianne Weekes from Mari’s World. 1. Make your ice cubes in advance, in a clean tray add a tiny sprig of rosemary, one dried cranberry and a tiny piece of crystallised ginger, cover with water making sure not to make the ice cube too big and freeze. 2. Add a drop of Cranberry vodka (can be made easily at home) to the bottom of a flute, about 1 cm it should be a rich dark red colour. 3. Add 1 ice cube. 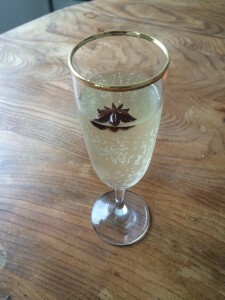 4.Fill the glass with prosecco. 1. Peel the grapefruit using a vegetable peeler and set aside. Slice the peel into 0.5cm strips and put in a pan with the ginger. 2. Add 200g sugar and 300ml cold water and heat gently, stirring until the sugar has dissolved. Simmer for 15 mins, then strain over a jug to collect the syrup. Cool, cover and chill. 3. Arrange the warm candied strips of grapefruit and ginger in a single layer on a parchment-lined baking sheet. Sprinkle with the remaining sugar and set aside to dry overnight. 4. To make the cocktails, squeeze 100ml juice from the reserved grapefruit into a jug and mix with 3 tbsp of the syrup. Divide between 2 flutes, topping each up with fizz. Garnish with the crystallised grapefruit and ginger. 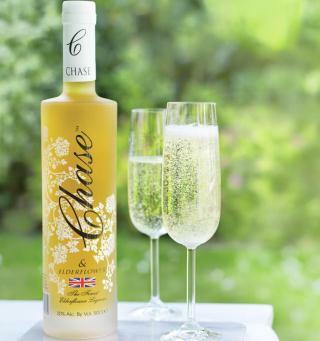 The Chase Elderflower Fizz by Andrew Riding – Waitrose Cellar Specialist. 1. 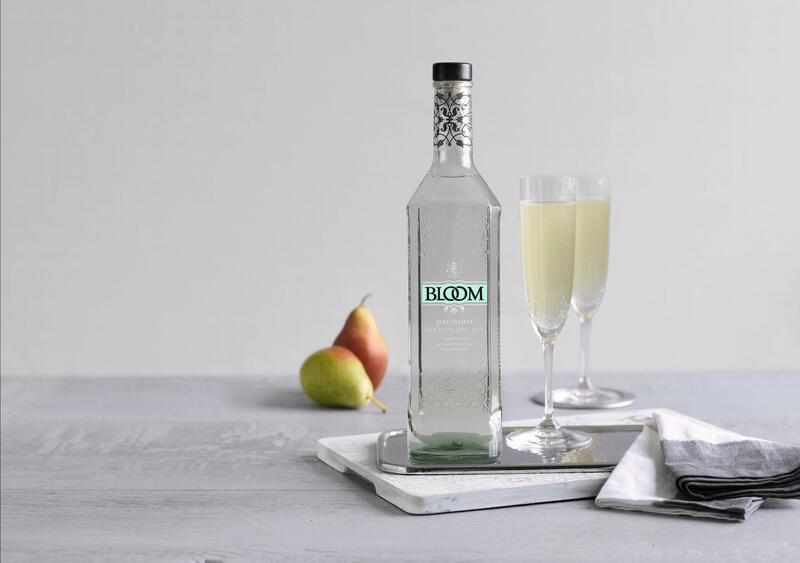 Pour the champagne or prosecco into a champagne flute or wine glass until full and add a dash of elderflower liqueur to taste. 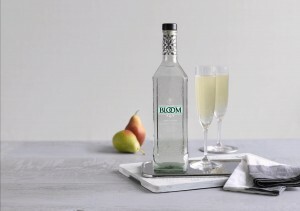 We think this is a lovely cocktail especially with the elderflower /summer connection. Ginger & Star Anise Prosecco by Lizzie Mabbott from Lizzie Eats London. 1. Carefully simmer the peppercorns, ginger slice and star anise in the syrup for 3 minutes and leave to cool. 2. Infuse overnight and strain. 3. Add 2 tsp. of the syrup to each glass with 1 tsp. 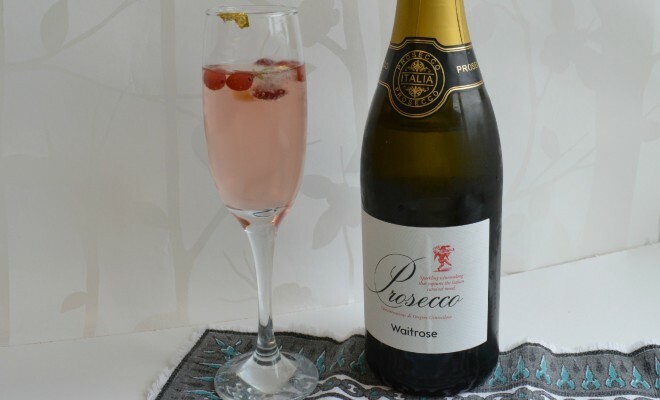 water; add a small amount of the prosecco, stir carefully, then add the rest. Garnish with the star anise if desired. ← Previous Story Perfect for picnics – premixed summer drinks! Next Story → Delicious Drinks From Barefoot Wines and Bubbly & The Cocktail Trading Co.